In this article, we are going to discuss about the solution of Why physical memory usage so high in Windows 7? Most the time Windows user getting the problem that their Physical Memory/RAM uses are so HIGH even there is no heavy application is running on the machine. Well, I have also faced the same problem on my Windows 7 machine. Finally, I got the solution and it works for me and my machine is running fine. Check the below steps to get out of this problem. Step 1: Click on the Start button and type msconfig in the search box. Step 2: Click on msconfig.exe. If you are prompted for an administrator password or for a confirmation, type the password, or click Continue. Step 3: A new pop-up window will open. 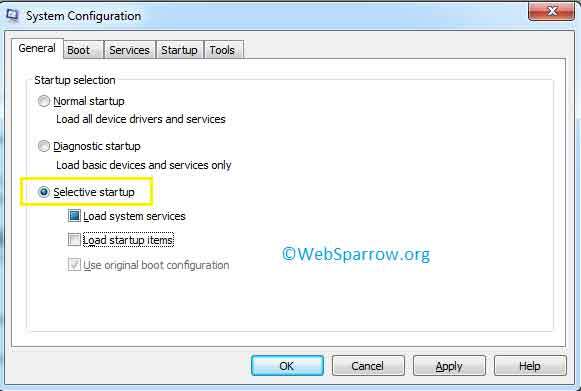 On the General tab, click Selective Startup. 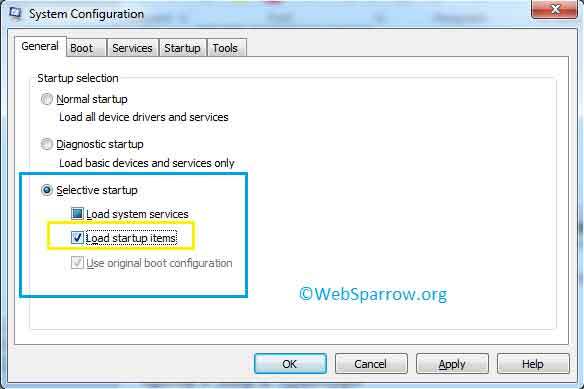 Step 4: Under Selective Startup, click to clear the Load startup items check box. 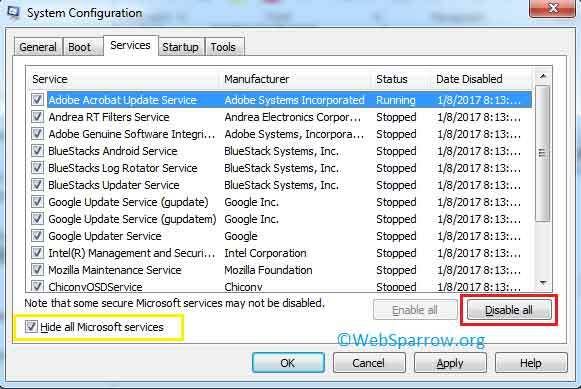 Step 5: Click the Services tab, click to select the Hide All Microsoft Services check box, and then click Disable All. Step 6: Click OK button. Step 7: When you are prompted, click Restart. 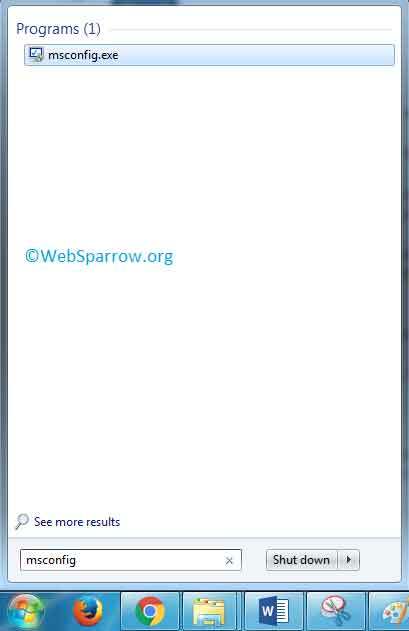 How to create new user account in Windows 7?